Original Black Ink Cartridge HP 301 (CH561EE) for the HP Deskjet 1050, HP Deskjet 1510, HP Deskjet 2050 HP Deskjet 2050s and HP Deskjet 3050. It was developed to provide user-friendly features and great value. Print documents with black laser-quality text and images that resist fading. Cartridge is good for approximately 190 pages. For shipping to other EU countries visit this page HP CH561EE no. 301 . Chcete doručit zboží do Česka? 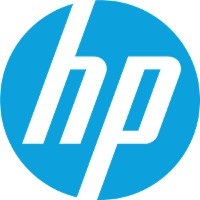 Prohlédněte si HP CH561EE č. 301 černá. Chcete doručiť tovar na Slovensko? Prezrite si HP CH561EE č. 301. Magyarországra történő kiszállításért tekintse meg ezt a termékoldalt: HP 301 (CH561EE).